The Lectionary readings for Holy Communion today are all concerned with shame. Whereas guilt relates to what we have done or failed to do that we ought to have done, shame relates to our identity, our sense of self. Shame is the game whenever we ‘victim-blame’—and, indeed, even that term is a source of shame, for the popular usage of the word ‘victim’ has shifted from ‘one who has been wronged’ to ‘one who, by their nature, attracts trouble like a magnet attracts iron’. We shame women who have been raped (the man is guilty), saying that they ‘we’re asking for it’. We shame men who take a beating from their girlfriend (the woman is guilty), saying if they were ‘man enough’ they’d walk away from the relationship. We shame children who suffer anxiety, dismissing their fears as inconsequential. We shame workers who are cowed by arrogant bosses. We shame people for coming from a given city, or part of the country, or because of where they went to school, or the choices they never had, or for receiving benefits they are entitled to under the welfare state (though, interestingly, we rarely shame employers who don’t pay their workers a living wage). We shame others in a doomed attempt to feel less ashamed ourselves; to lift ourselves up, relative to others, by putting others down. And though we have become adept, as a society, at passing-the-buck when it comes to guilt, shame clings to us and will not be shaken off. Shame is massive in twenty-first-century Britain; but it is not new. Isaiah knew the life-taking ways of shame, and shaming, and shouted-back into the gale, ‘and I know that I shall not be put to shame; he who vindicates me is near.’ The writer of the letter to the Hebrews (who may have been Priscilla, the only female author in the New Testament) had these words to say about shame: ‘let us run with perseverance the race that is set before us, looking to Jesus the pioneer and perfecter of our faith, who for the sake of the joy that was set before him endured the cross, disregarding its shame’. Crucifixion, you see, was all about shame: heaping shame on a family, a community, a nation. In our Gospel reading, we see Jesus put shame to shame. Did you notice how, in his dealing with Judas, the eye-witness John recalls, ‘Now no one at the table knew why he said this to him’? Jesus is concerned that none of his disciples will have to live with shame: not even his betrayer. The antidote to guilt is forgiveness. Some things are undoubtedly harder to forgive than others, but forgiveness is relatively easy (and if we struggle to forgive ourselves, that is often because shame has complicated matters). Shame is harder to deal with. If the fast-working antidote to guilt is forgiveness, the life-long antidote to shame is honour. Jesus honours Judas by not exposing him in front of the group. He honours him by holding out intimacy, by which I mean the radical choice to be with someone and remain with them; to remain open to them; to share bread with them, even if there are no words that can be offered back. 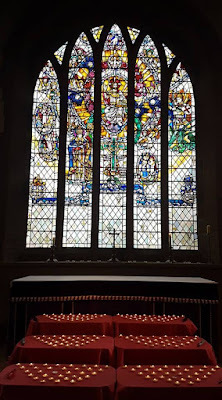 He honours him by respecting his freedom, to walk away; demanding no reciprocation, not requiring Judas to fill or sate the well of sadness and agitation that is opening-up within Jesus. Yesterday afternoon, I took a seat on the Metro to Newcastle, opposite a very young, very recently-together lesbian couple. In their wide-ranging animated conversation, they rehearsed a lengthy litany of (the failings of) each other’s various ex-lovers. And I thought about how wise a gift general Confession is—and how few people of their age, regardless of gender or sexuality, have access to it. 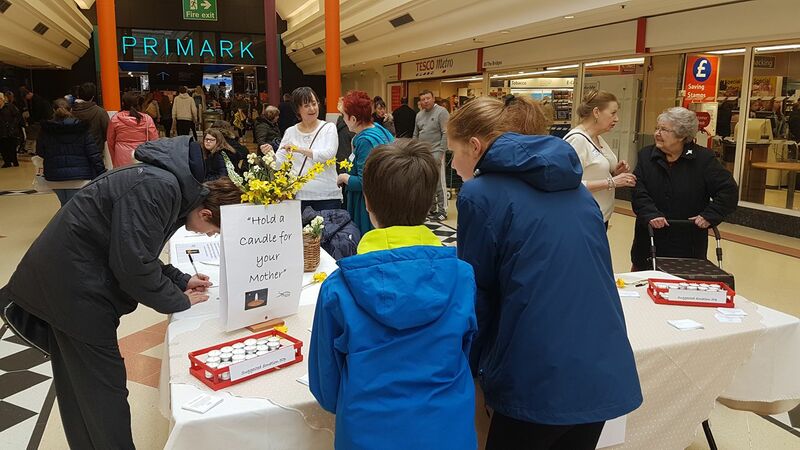 When we gather as the local church, we begin in Confession, speaking both for ourselves and on behalf of our wider community, the society in which we live, and in recognition of the human condition. The tried-and-tested words we use include several variations of recognition that “we have sinned against you [God] and against our neighbour in thought and word and deed, through negligence, through weakness, through our own deliberate fault,” asking—with confidence in God—for mercy, forgiveness, and enabling to live a restored or renewed life. Those words speak so pertinently to our common experience of betrayals, for a complexity of reasons, some of which we can understand and accept (which is not to excuse) more easily than others. But the words are unsparingly honest that we are as guilty of breakdown of relationship as everyone else (which is not to judge equal responsibility in every breakdown) through negligence, weakness, or deliberate fault. And yet, recognising that we all share the same burden, Confession and Absolution is generous in liberation, in transformation and in empowerment, flowing from God’s reputation as a merciful parent. We got off the train at the same stop. They walked a little ahead of me in the crowd, but near enough for me to over-hear them turn to a new topic of conversation: a litany of vicars and vicar’s children who had judged them for their sexuality. That can only bring me to Confession. and raise you to new life in Christ our Lord. I replied that, as I have not yet done so, I don’t know. On the one hand, I wonder why we should consider goodness and love boring; why we have portrayed them as such and bought-into that portrayal!? Regarding the question asked of me, I went on to reply, I have faith in a physical resurrection, on earth; with my body and the earth itself (both of which suffer from decay and will, ultimately, die) made new. That is my hope, revealed in scripture and confessed in the historic creeds of the Church. Beyond that, I’m agnostic about details, or timing, or temporary states; which I think is the most honest position, given that the Bible, as a record of human faith, holds out paradoxically several different understandings of post-mortem experience. I have faith that my life, both before and beyond death, is held and kept within the love and purposes of God; and that is enough. And I’m happy to share further the grounds of that faith—it has to do with Jesus—but that goes beyond the question I was asked. Today is the feast day of Joseph, the father of Jesus (don’t ever say that adoptive fathers are not fathers). He is often known as Joseph of Nazareth, the place he made his home, rather than his own hometown Bethlehem; which is, in a sense, to honour the place of work in human dignity. The readings for Morning Prayer today hold together Joseph’s family tree and his vocation. Isaiah 11:1-10 begins, “A shoot shall come out from the stump of Jesse...” Christians interpret the shoot as Jesus, and the stump of Jesse as Joseph, descendant of (Jesse’s son) king David, whose family line had lost the kingdom, a tree cut down but with a living stump remaining. Matthew 13:54-58 records Jesus returning to his hometown of Nazareth, to be rejected as a teacher and wonder-worker, on the grounds that he is (only) the son of the carpenter. So, Joseph is both tree and carpenter; and as Jesus’ father helps to shape him as fresh wood growing out of the past, and as wood that is harvested and worked for a purpose; shaped for an executioner’s frame, or to create an additional room in a family house. To be a father is to provide roots and to train—which involves both shaping a life and equipping that person to continue to work with the grain of life. It is not confined to biology, but, rather, defined by commitment. Joseph turns out to be both a teacher and a wonder-worker, if only his neighbours could see it. Today, I am praying for fathers, that they would share in the grace given Joseph of Nazareth. The trailer is out for the next instalment of Fantastic Beasts And Where To Find Them. I don’t know what fantastic beasts will play a part, but the world into which Harry Potter will one day be born is certainly inhabited by dragons. The Hobbit has a dragon. How To Train Your Dragon has a plethora of dragons. We tell our children stories of dragons; and then we shame them, telling them there is no such thing as dragons (as if imagination is not real); and confuse them, explaining dragons away as ‘just’ a metaphor (imagine dismissing metaphor so lightly); because our parents shamed and confused us in a coming-of-age rite of passage. Story-tellers and children know better. For more thoughts on dragons, see here. It would appear that much of the Hebrew Bible—and Christian Old Testament—finds the form in which it comes down to us late-on in its own story: during the years of Exile under the Babylonian empire; or even the Reconstruction of a Jewish state centred on Jerusalem following the fall of Babylon to the Persian empire. This means that in as much as God is in(volved in) these stories, it is as a collector and editor and interpreter of stories (and not least over the centuries many Christians describe as the years during which ‘God was silent,’ between the Old and New Testaments) and not just as their inspiration or source. Not entirely dissimilar to writing a good prequel. It reminds us that these stories are told not so much ‘for the record’ of history, as they are told to help us make sense of our own times—which are often turbulent. And that gives us hope that this same God is actively involved in the process when we bring the biblical texts into dialogue with the stories of our own lives, the cultural scripts and personal journals (written, or—more likely—not) and local histories of the community of which we find ourselves a part. Not entirely dissimilar to writing a good sequel. Holy Communion: Exodus 32:7-14 and John 5:31-47. Moses has led the Israelites out of slavery in Egypt and brought them to the mountain where he encountered the god who sent him. But it is now forty days and nights since Moses went up the mountain, alone; and the people are getting twitchy. So they melt down the gold jewellery they had taken as plunder from Egypt, and make a golden calf. Why a calf? In Egypt, the sacred bull gave flesh to Apis, the intermediary between the most powerful gods and humans. When the sacred bull died, a calf was chosen as its successor. Moses, the intermediary between YHWH and his people, was missing, presumed dead. The obvious course of action was to establish a successor. Not a representation of their god, as such, but of the mediator (and one that implies that their god is part of the family of the gods of Egypt, who, in fact, YHWH had overthrown in liberating them). YHWH is not impressed. YHWH reserves the right to appoint the mediator, who is, as it happens, alive and well—and, precisely, mediating on behalf of the people before YHWH. The role of mediator is a significant one. YHWH is free to do as YHWH sees fit, but is open to a change of heart (a matter of repentance) on the basis of a well-made case, an appeal to fresh evidence (a matter of re-framed belief). Moreover, it is a reciprocal relationship: at times, God is angry with people, and the mediator pleads on their behalf; at other times, the mediator is angry with people, and it is God who counsels mercy (and there is, I think, something of this behind John 5:45). Some millennia later, Jesus is questioned over what makes him YHWH’s appointed mediator, the one to represent YHWH before the people and the people before YHWH. It is a question of authority. Like Moses before him, he points to the signs he has performed in YHWH’s name. Like Moses’ generation, the people of Jesus’ day prefer to create their own image of the mediator. 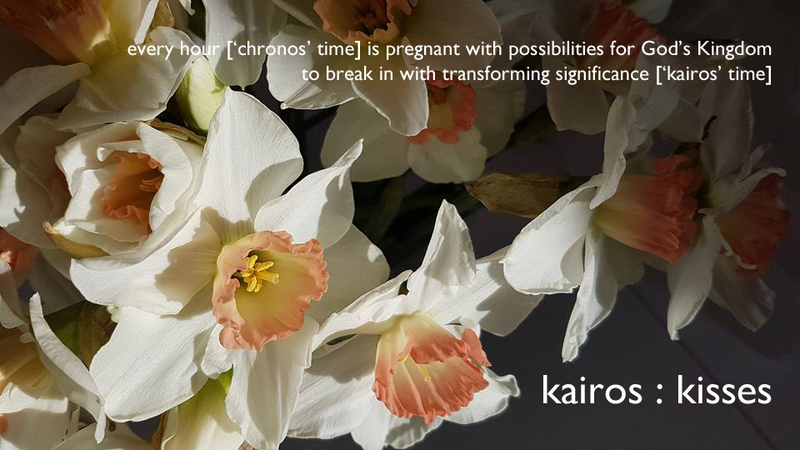 We do the same in our own day, two millennia on again. According to the New Testament, the Church is the body of Christ, the flesh-and-blood of the flesh-and-blood mediator between humanity and God. The works we are given to do are meant to testify to this. But perhaps we are missing, presumed dead by the people we are sent to? And perhaps it is time to take intercession more seriously? I much prefer small-screen drama to the big-screen. Television series lend themselves to a longer narrative arc than movies. Moreover, they rely on story-telling. They cannot hide a thin plot behind overwhelming special effects. My favourite genre is detective fiction. It tells us so much of what we need to know of the human condition. And one of my favourites is Endeavour, the very fine prequel to Inspector Morse. Shaun Evans is a delight to watch in the title role. I reckon there is another twenty years between where we are ‘now’ in 1968 and when we first met John Thaw in the role; and I hope they will keep commissioning more series: they just keep getting stronger. One of the things that makes Endeavour so poignant is that we know what becomes of Morse (though not how). We know that, though he will fall in love many times, he will never take the risk, seize the moment, to marry. That the women he loves remain to him a—completely unsolvable—puzzle to be solved, rather than a mystery to enter deeper into. We know that in the end, many years from now, his dying moments will be filled with a regret that spills over to grasp, too, at his colleagues with its chill fingers. And every time one of those colleagues urges the younger man to change before it is too late, we simultaneously long for him to do so, and know that he cannot. I do not believe in a deity who has a fixed plan for our lives, a plan we can only fail to live up to. I believe in a God who, fixedly, longs for good for us, while leaving generous possibilities as to what that might look like. The sadness of Morse is perhaps not that he did not live the life he could have done, but that in a sense he remained a detached onlooker on the life he had. 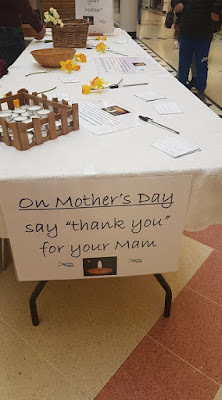 Last Sunday was Mothers’ Day here in the UK. For the second year running, we set up stall in the shopping centre next door to the Minster in the run-up. 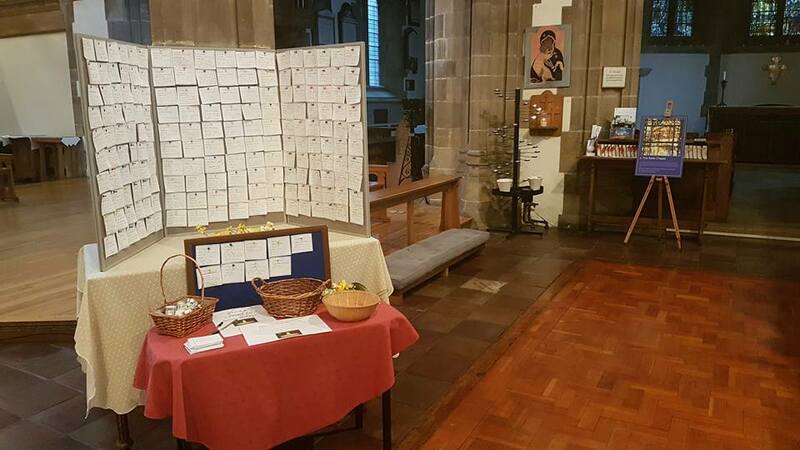 Over a day, our volunteers invited passers-by to write a message or a prayer, an expression of gratitude for a mother or grandmother, living or dead, with the messages to be displayed for several days in the Minster—a space that is open daily to the public, as a place of sanctuary in the city centre. 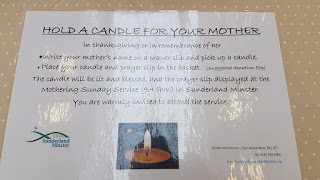 We also invited them to hold a tea-light as they brought their mother to mind, and then to leave it with us, to be lit at our service on Sunday morning. We lit over 200. See pictures, below. 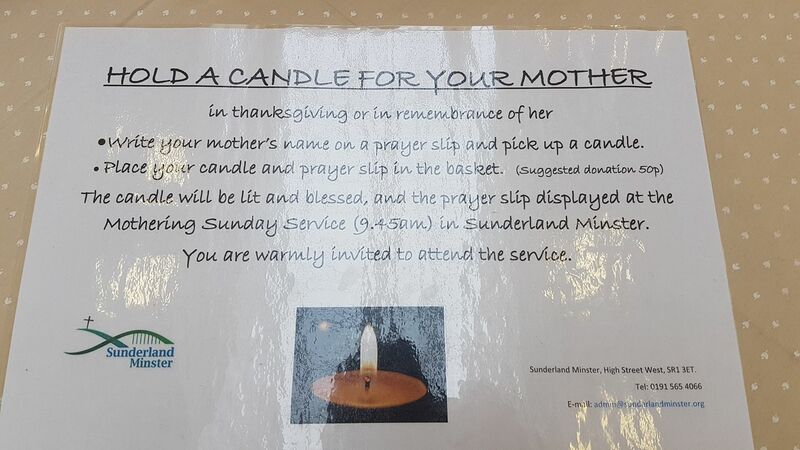 Today I found myself re-reading all the Mothers’ Day messages on display this week at Sunderland Minster. 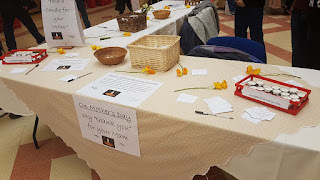 There were plenty of expressions of love for the living, but many more expressing how the writers miss mothers or grandmothers who have died. 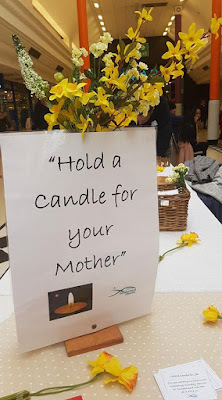 I know that Mothers’ Day is complicated; a difficult day for many, including (though not limited to) those who have lost their mother; and needs to be handled with sensitivity. But I am struck by the value of being able to express the grief we carry. Again and again, the messages say, miss you every single day. But on almost all of those days, and on their birthdays or other significant anniversaries, that grief is carried on our own. Mothers’ Day is one day in the year when we get to say “I miss my mum” in the safety of doing so collectively with others. Ritual, that enables us to see that we are not alone. And to lift one another up to God. And that is the gift of such a day, albeit perhaps quite unintended by the sellers of greetings cards. Farewell to Stephen Hawking. Given two years to live in 1963, he failed quite brilliantly to grasp the concept of time. It just so happens that, alongside the readings set for today in the Lectionary, there is another set of readings that ‘may replace those provided for Holy Communion any day during the Fourth Week of Lent’—and that the Gospel in that set is John 9, the account of Jesus giving sight to a blind man. In this instance, those works are revealed by his being given sight, miraculously. But God’s works are also revealed through the ways in which people responded to him in his disability—his life revealing the compassionate hearts of some, and the hard-heartedness of others. And, most of all, God’s works are revealed in him through his enquiring mind, that joyfully reaches beyond the already-known, challenging conventional wisdom in a quest for greater understanding of deeper reality. A fitting Gospel for the morning the world learns of the death of Stephen Hawking, a man whose living with disability—and vulnerability—revealed God’s work through medical and scientific miracle; through exposing the hearts of others; and through one of the most enquiring minds of all. Rest in peace, Stephen Hawking, and rise in glory. and all your works echo the silent music of your praise. the crown of all creation. Clip: 01:15-02:39. Avuncular Fred Buckle [Cliff Parisi] pays his neighbour, curate Tom Hereward [Jack Ashton], a visit on the morning of the funeral of Tom’s young wife, Barbara.